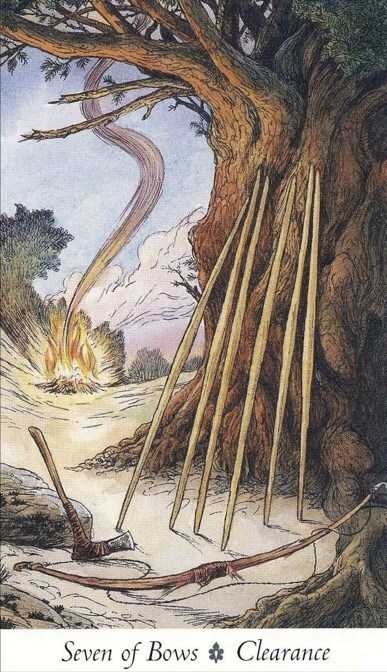 The Seven of Wands is associated with courageous self defense. As you can see from this image, the survival instinct is to be prepared. Understand, too, this is not necessarily for battle as much as not being taken by surprise should there be one. All sevens represent a crossroads. We do not know yet what, if anything, is arriving but we do know we don't want to be caught off guard. This card encourages us to stay self-confident and strong in our beliefs, virtues and goals. Crafted by Tracy*Talley of The Mystical.